When Elena first joined McKinsey, the analytical aspects came naturally to her. It was at business school that she had the opportunity to take on new challenges. 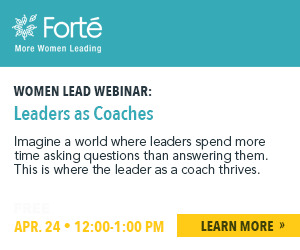 Looking at attending a Forté Forum? Read about a current MBALauncher’s experience attending the Los Angeles Forum last summer. As the latest and the youngest woman leader on the UMT Consulting management team, Milena Beshkova recognized a unique opportunity to help her female peers. She pitched—and now leads—UMT’s Gender Balance and Mentoring and Coaching Initiatives, and women’s promotion rates have already improved dramatically in under a year. As a consultant, Beth Bovis can live anywhere she wants and has carefully crafted her work/life balance. You’re surprised to see “consultant” and “work/life balance” in the same sentence? Consulting is commonly considered a way to rack up the frequent flyer miles and see the world, at some cost to domestic stability. But Beth is eager to counter that stereotype.